New windows on the old side of the house. 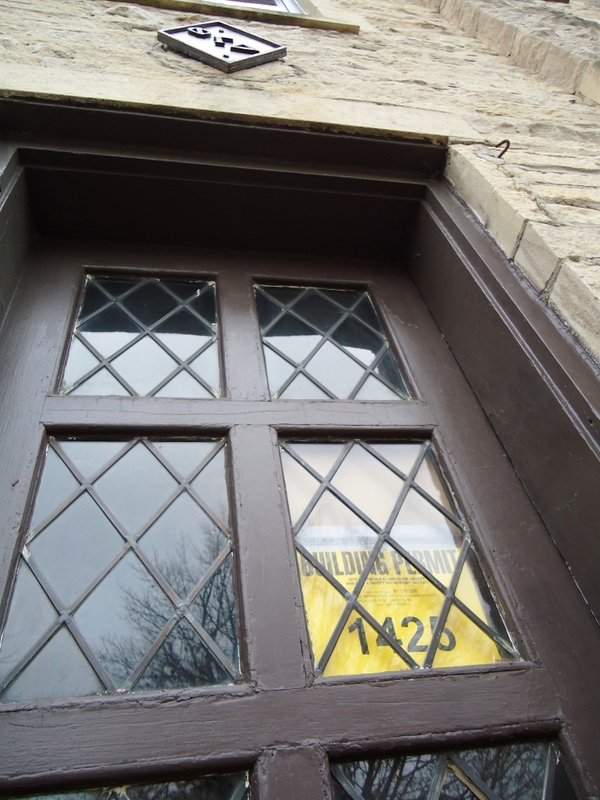 Dramatic changes this week – new windows were installed on the north, east and west side of the 1931 building. 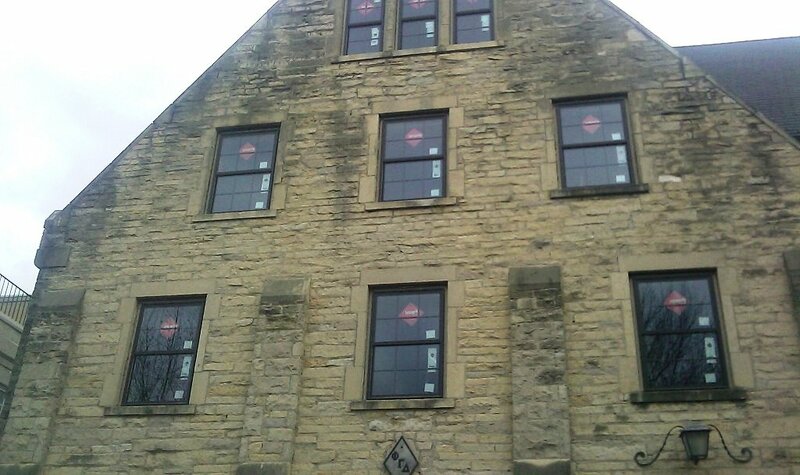 The new windows will significantly improve the energy efficiency of the chapter house. 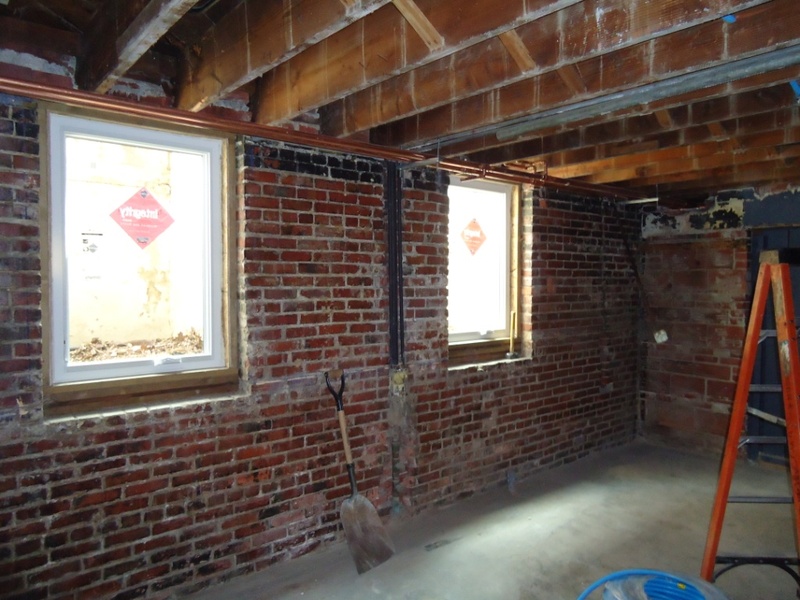 The existing windows were installed decades ago and had outlived their useful life. Many of old window vinyl tracks had degraded to the point where it was a battle to keep the windows closed. 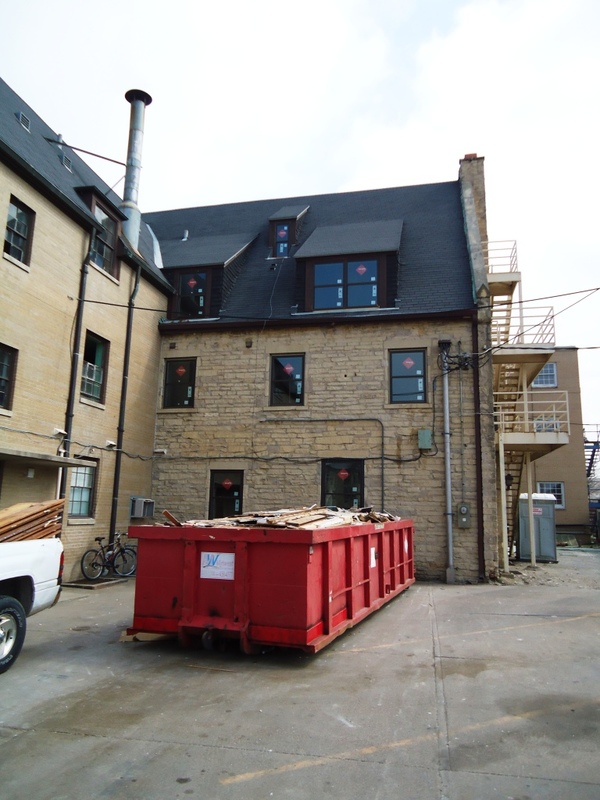 New windows are being installed in the entire building – from the 4th floor to the basement. The windows on the south side have not been installed. Fire code requires that any window within 10 feet of a fire escape be fire-rated. 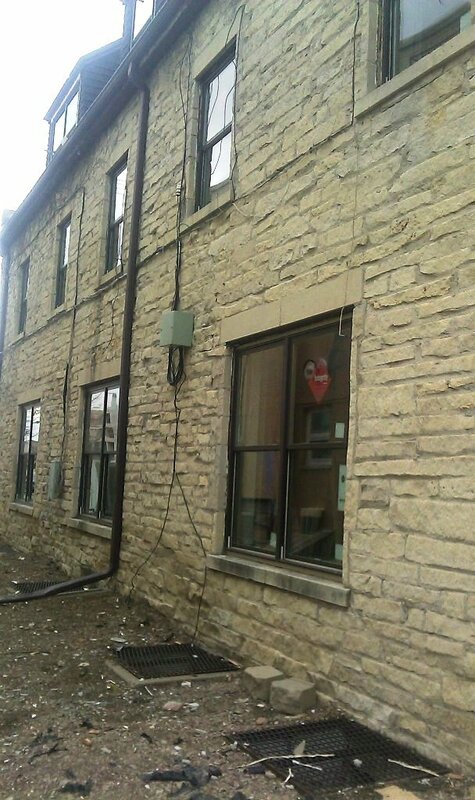 These windows cost nearly four times of what the regular windows cost. And, because it is an old building, everything is a custom size. 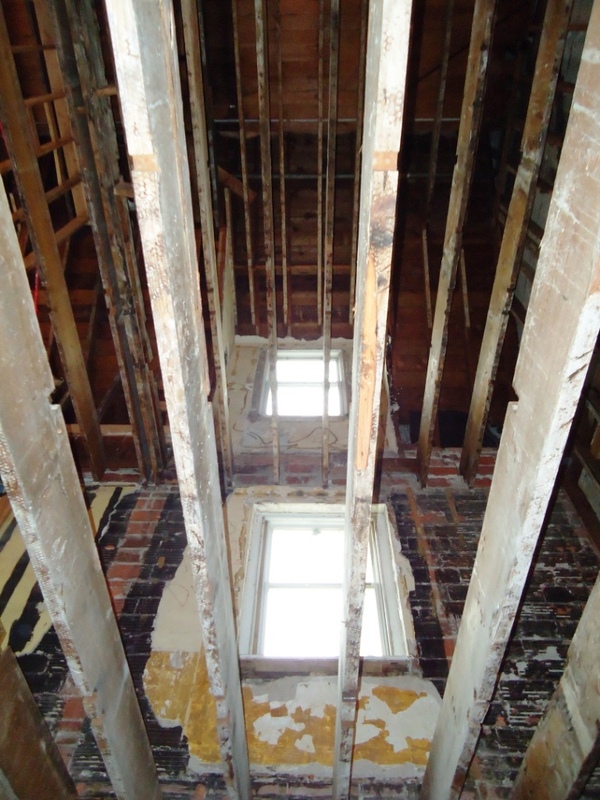 In addition to fire-rated windows, openings were cut into the 2nd, 3rd, and 4th floor to accommodate exit doors. 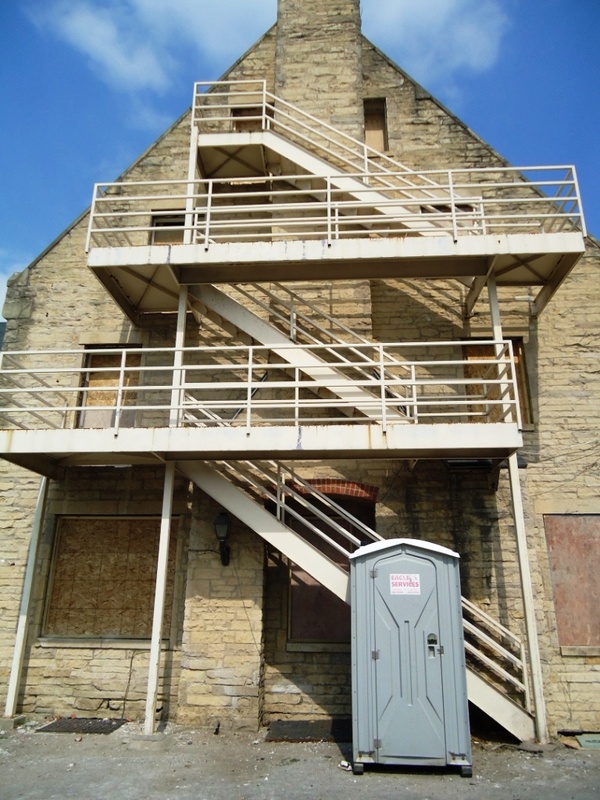 Current fire code requires doors be used instead of the existing windows. 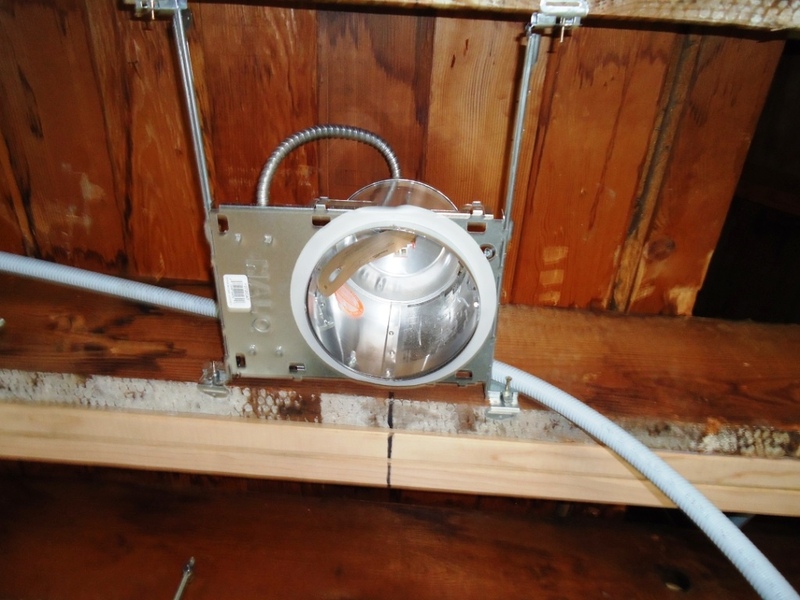 Fire sprinkler rough-ins have been installed. Sleeping room furniture will be ordered this week. The order includes 28 extra long twin bunk beds, 6 single beds, 3 lofted singled beds, 30 wardrobes, 30 dressers, 65 mattresses and 25 desks. The items are built locally and will be delivered and installed in August. 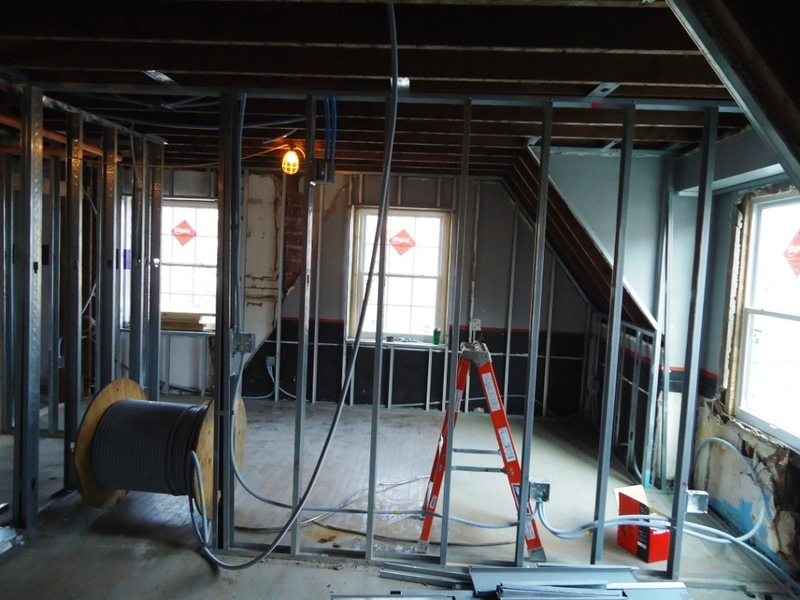 Next week includes inspections of rough in electrical, mechanical and plumbing; insulating; and, starting drywall. New windows on the east side of the building — next door to ATO. West side of the house — new windows (and the old windows in the red dumpster). South side of the building (like the bathroom?) — all of these windows will have to be fire-rated. 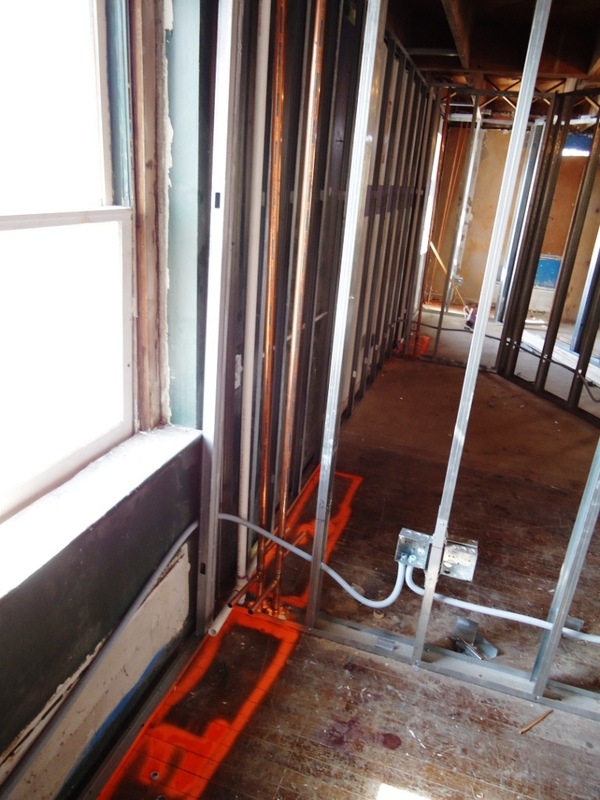 On the left side of the photo — opening have been cut into the walls to accommodate new exit doors. New windows in B2. 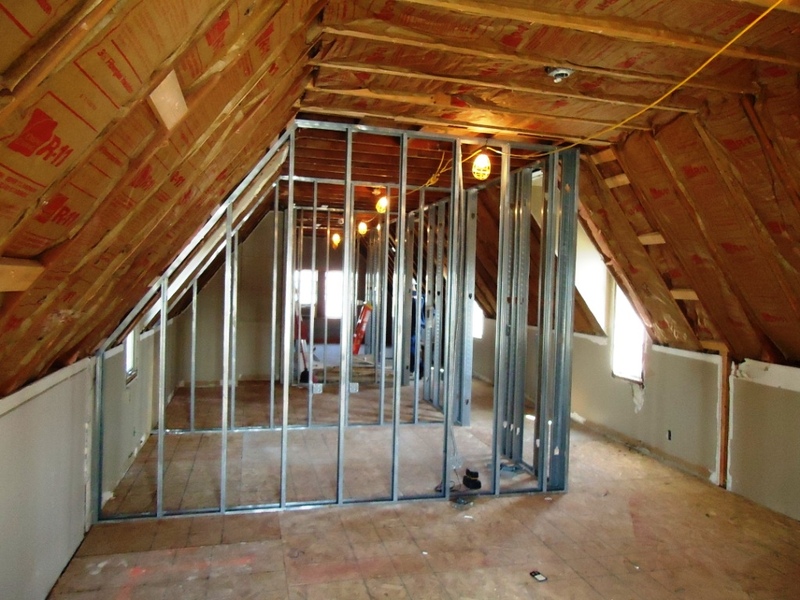 This will be one of the few three men rooms. 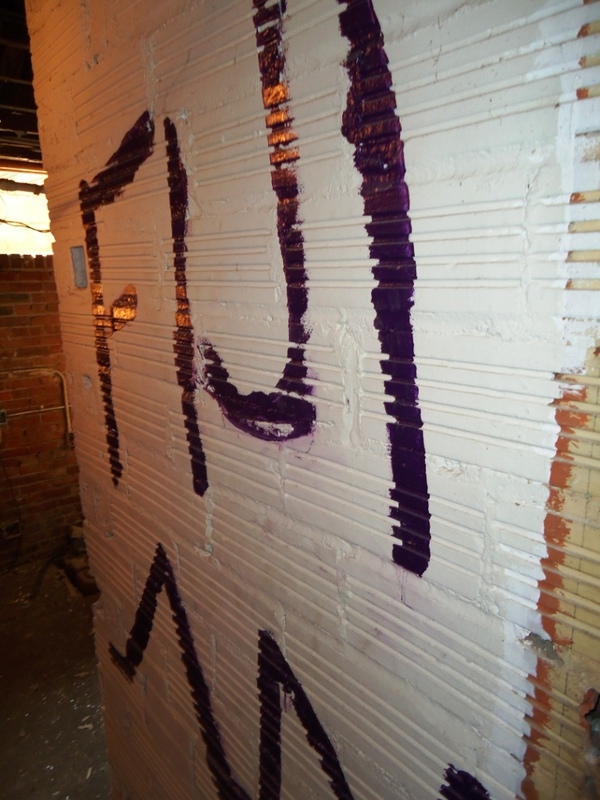 FIJI graffiti – it has been interesting what has been ‘found’ under the walls – including a “More PhiGam, Less Self” bronze plaque. This is in the area formerly known as B1. 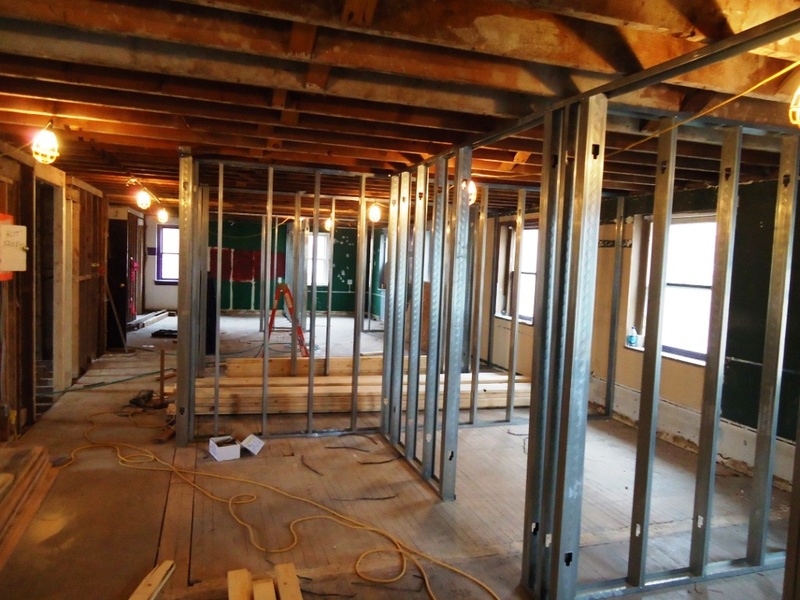 2nd floor — will be room 200, looking south into the future room 201. 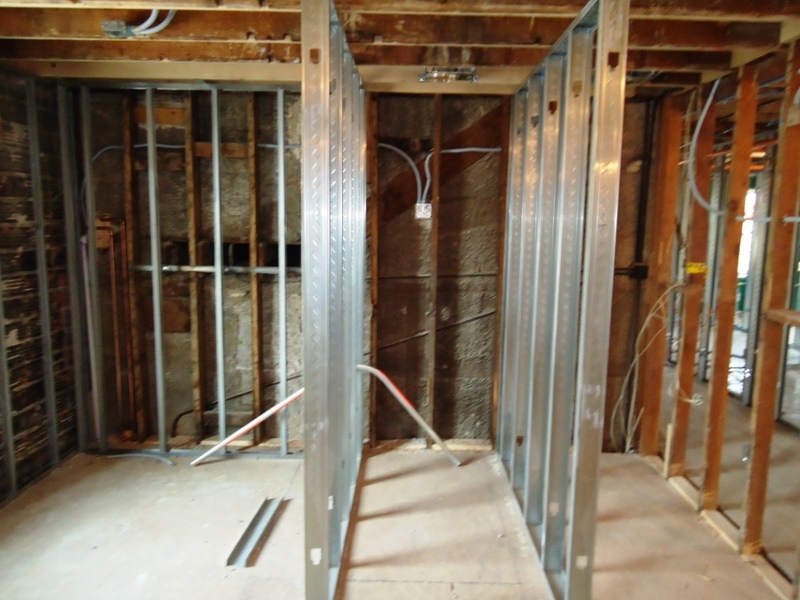 New layout for the 2nd old bathroom — the metal walls will house individual shower stalls. The stools will be to the left. 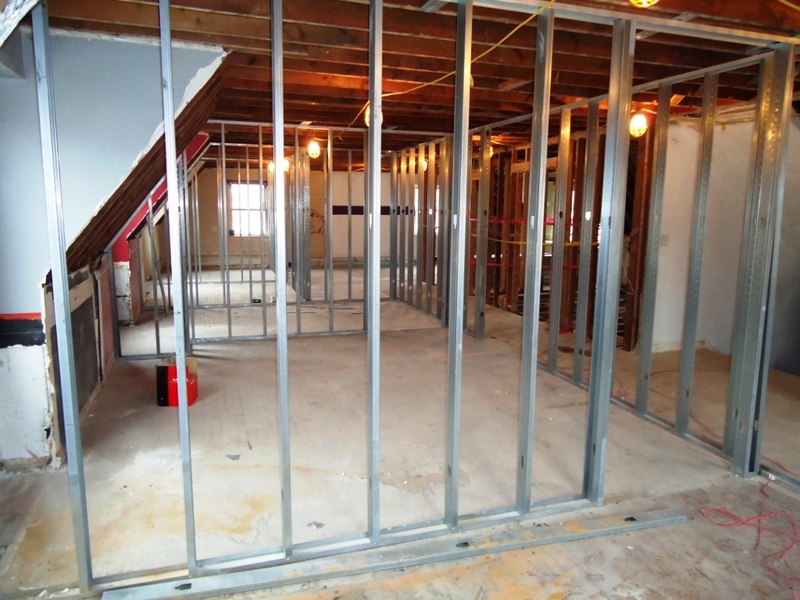 This is taken standing on the south wall (where the sinks will be), looking north (the stairwell is behind the wall). 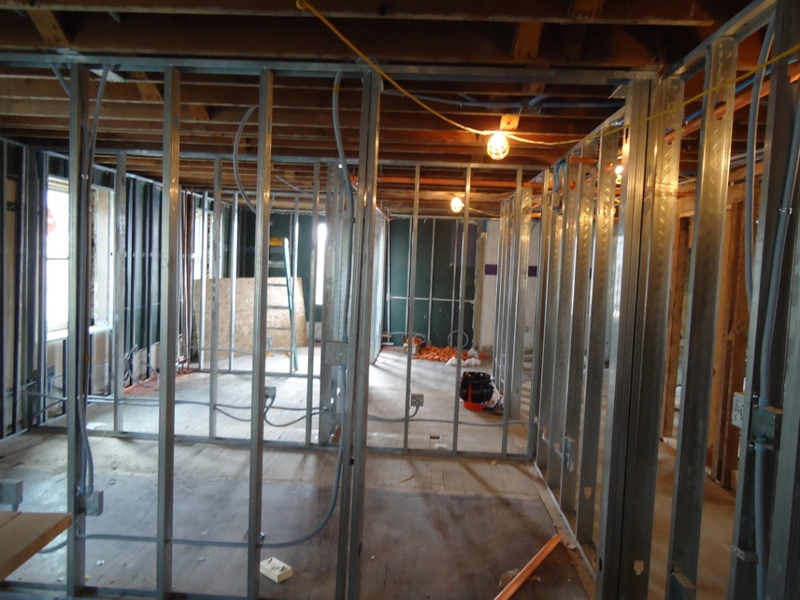 Standing in the educational area of the future room 300, looking north. 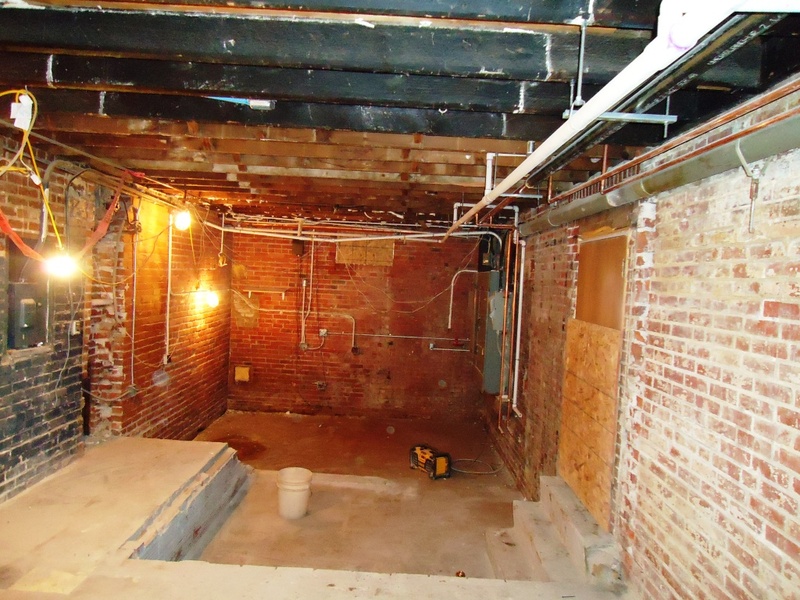 Laundry will move from the basement to 2nd and 3rd floors. 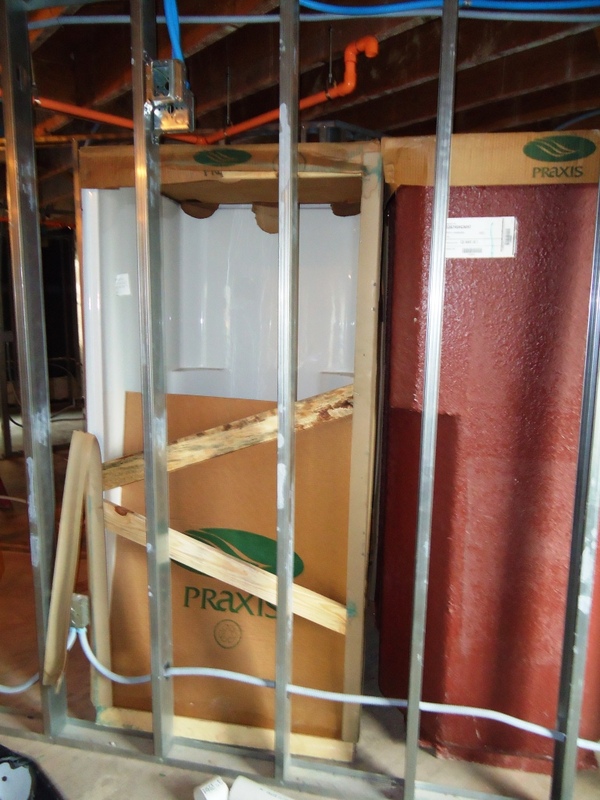 This is where the old sauna was located and will house a washer and dryer. The item that started this entire process — rough ins for the fire sprinkler (red pipe). The Board of Regents has required all student housing (including greek housing) be sprinkled by 2017 — Phi Gamma Delta will be well ahead of the game on this issue. 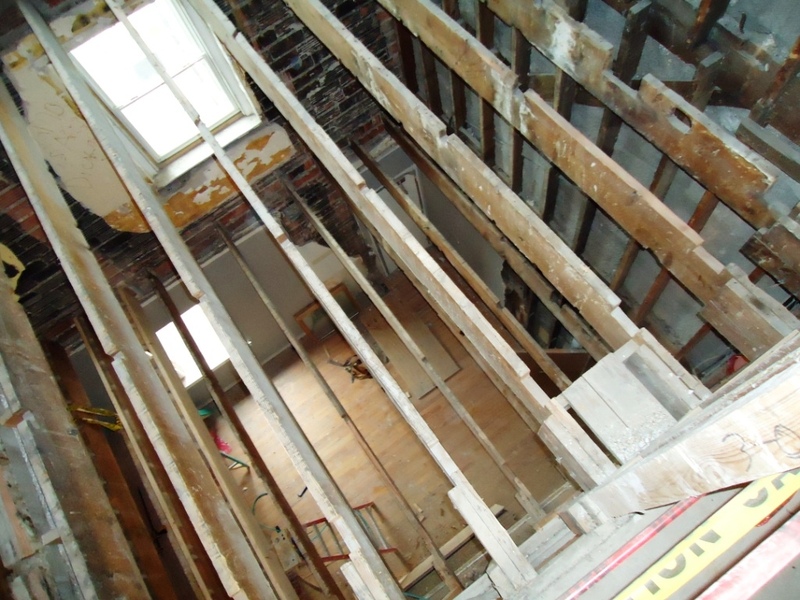 From the housemother's living room -- looking up into 2nd and 3rd old bathroom -- up to the roof. If you walk into the chapter house today, the most striking thing you will find would be standing in the housemother’s living room and looking up and you can see the roof. 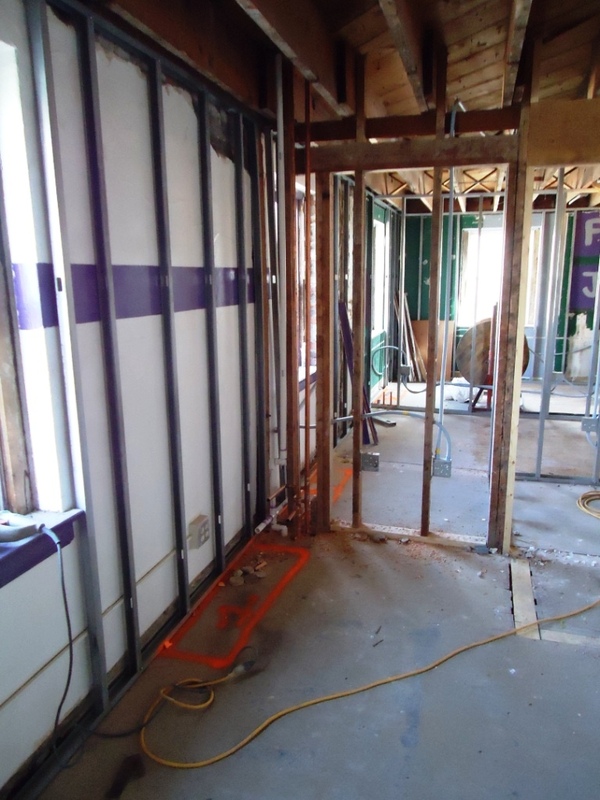 The floors in 2nd and 3rd old bathrooms have been removed to accommodate a new bathroom layout – which will include private shower stalls and finally fix the flooding issue in the housemother’s room and B1. 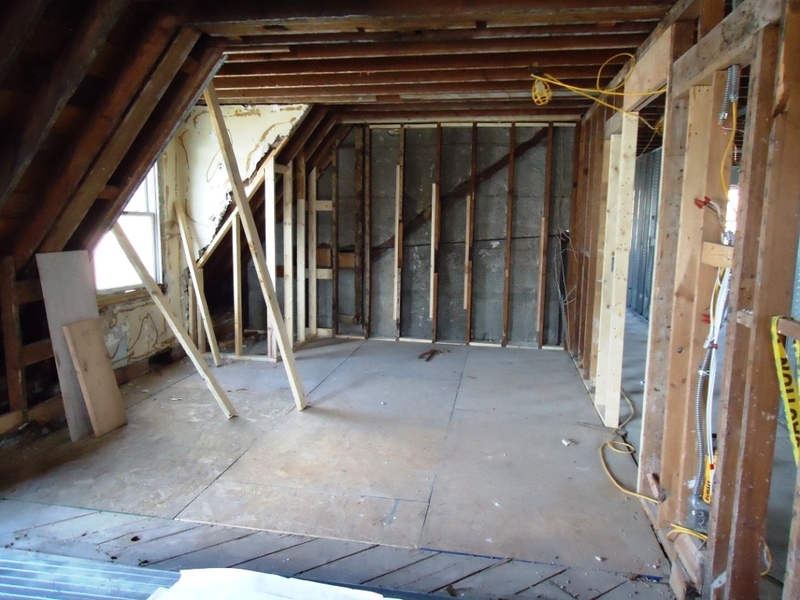 At least twice a year, the housemother’s room would ‘flood,’ or more accurately ‘rain’ from the ceiling, which then would drain into B1 – often times damaging contents in both rooms. 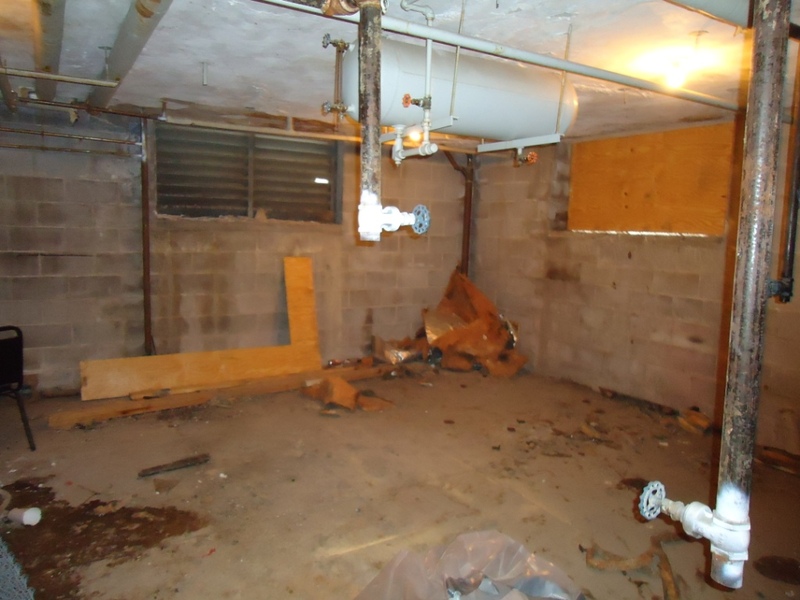 For the past several years, the flooding was due to pipes going bad inside the walls – both plumbing and heating systems. 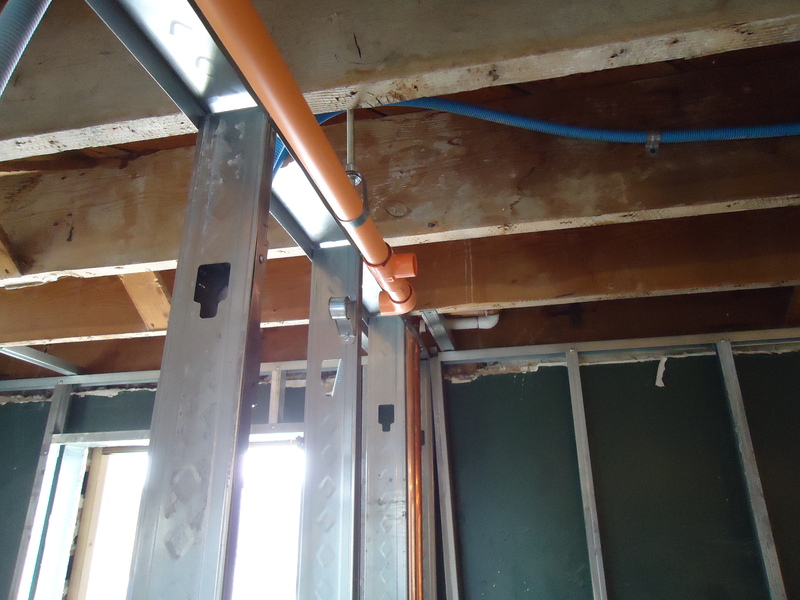 These are costly repairs, as the plumber would have to make a hole to fix the issue – often times several holes to find the issue – then the wall or ceiling would have to be repaired. Thankfully, ‘moms’ Engelhard and the residents in B1 have been good sports over the years. 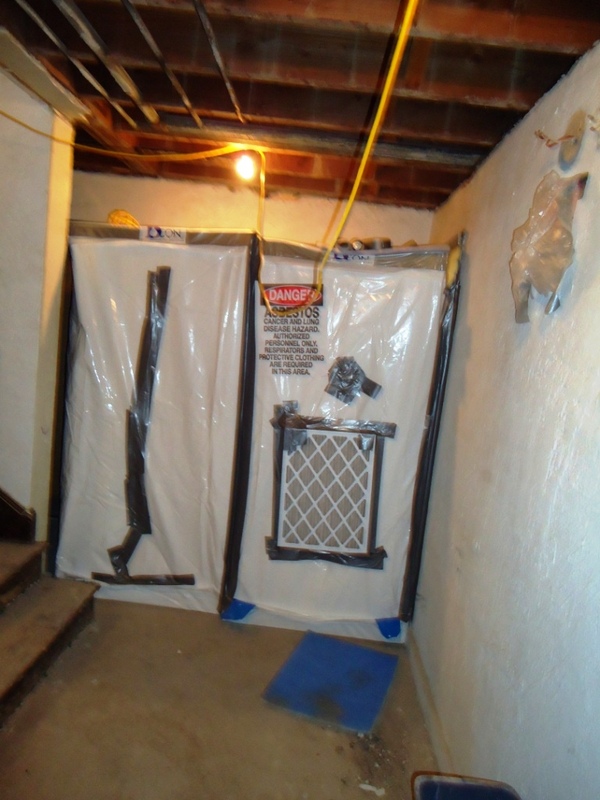 The radiators have been removed and recycled – along with the old AC equipment in the basement under the kitchen. 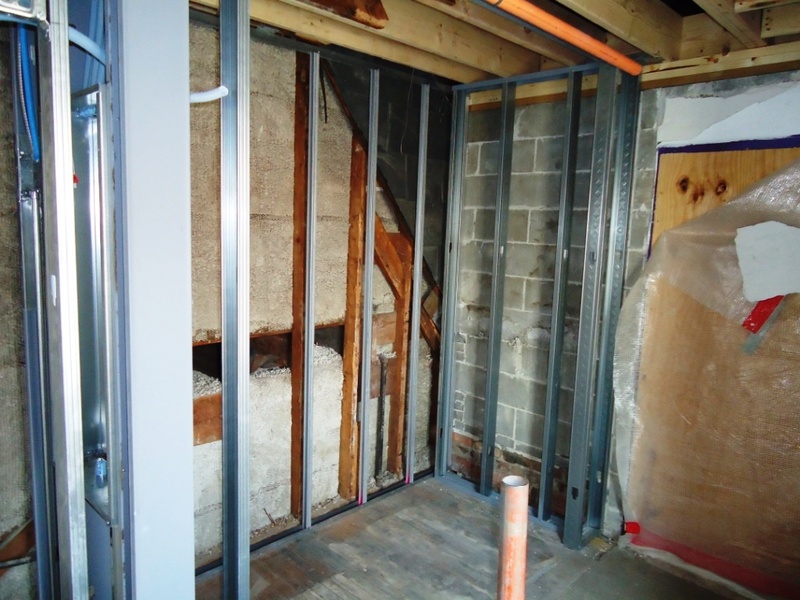 This is making room for a new heating and air conditioning system to be installed over the next several months. 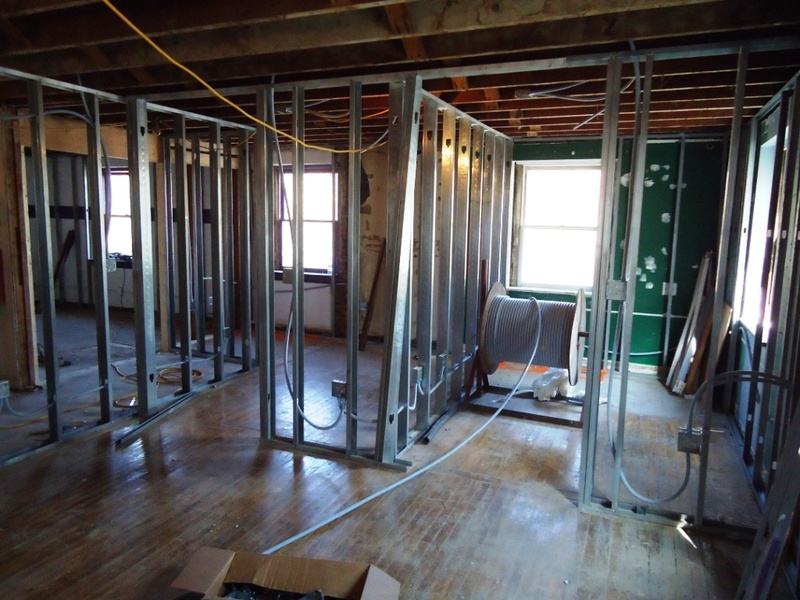 The walls are framed on 2nd, 3rd and 4th floors. 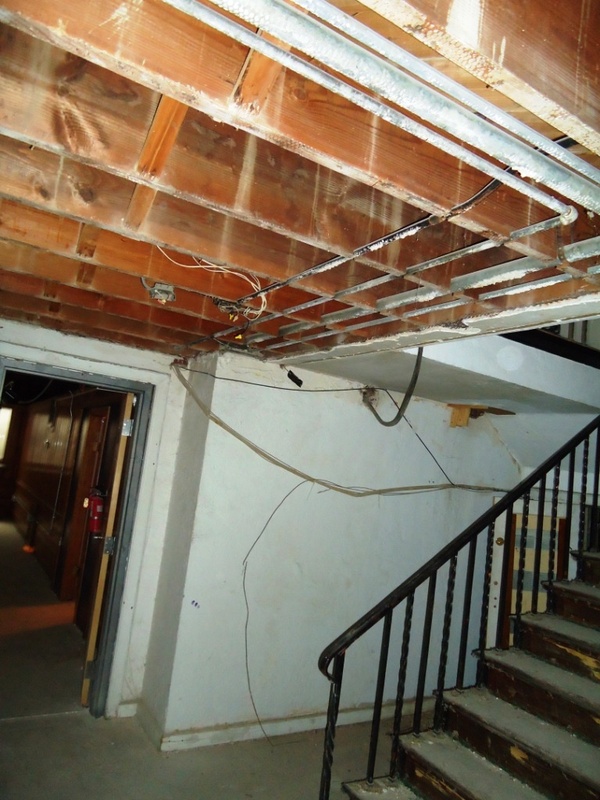 Mechanical, electrical and fire sprinkler rough-ins are scheduled to begin this week. 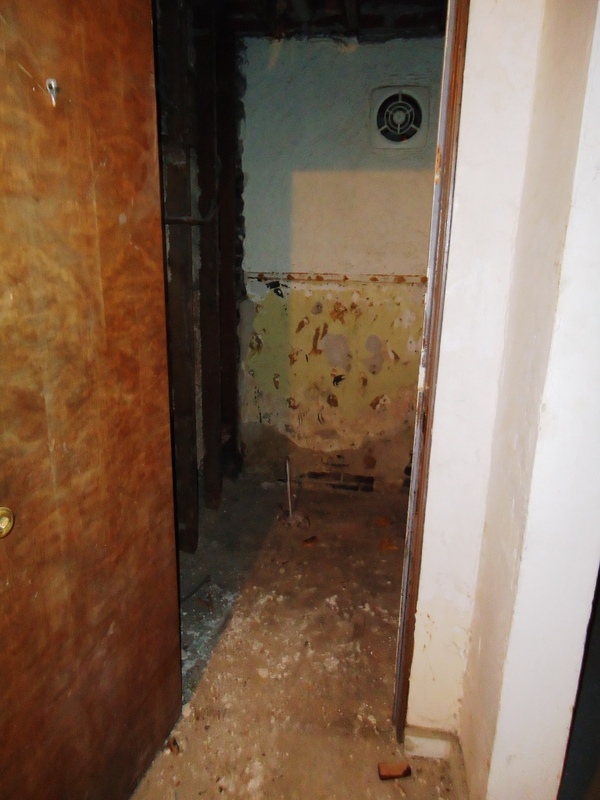 From the 3rd old bathroom — looking into the housemother’s living room. 3rd floor — from Room 300 — looking to the south. 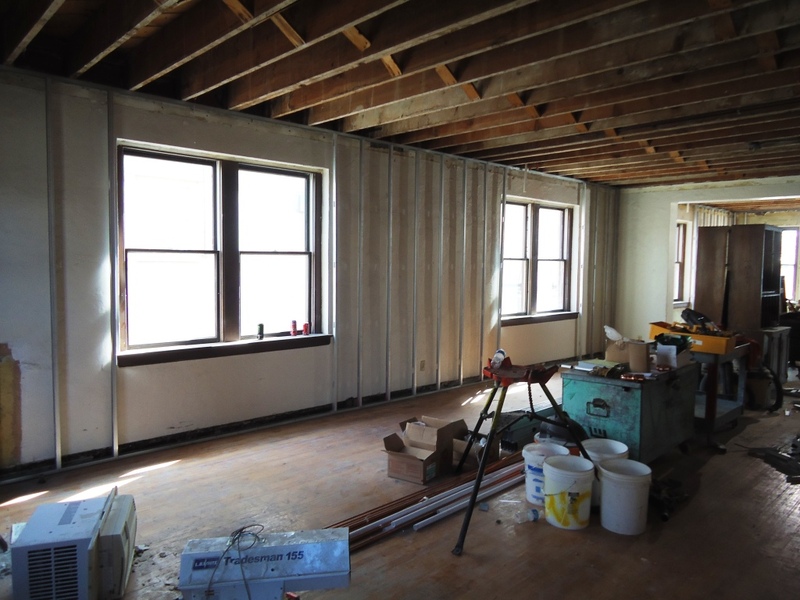 2nd floor — standing by the south wall (Room 203) looking to the north (200). The few items left from the old chiller equipment.